About Powell Chiropractic Clinic, Inc.
We are a family-owned, family-operated, and family-oriented health care center that has served the Canton, Ohio community since 1970. In the early 50’s Dr. Powell’s mother developed polio from the polio shot. She was greatly helped by a Doctor of Chiropractic and wanted her son to help others by becoming a chiropractor. Now after over 45 years seeing so many regain and maintain health through natural methods, Dr. Powell continues to be inspired to provide state-of-the-art chiropractic care. We care about your overall health as if you were a member of our own family, which translates into more than just treating your symptoms. As an established chiropractor in Canton, the Doctors of Powell Chiropractic Clinic, Inc. want to teach you how to care for your whole body, thus preventing future health issues. Our Doctors of Chiropractic, as well as, other well-trained professional staff and a Naturopath members are equipped to help you achieve total wellness. You, too, will know you’ve made the right choice as soon as you step into our warm, friendly office. Choose our family to help your family relieve pain, restore function, and regain health and improve your quality of life! Our Canton Chiropractic office is located in Jackson Township 1/2 mile southwest of Interstate 77 between Everhard Road and Dressler Ave. We have been in the same location since 1989 and offer individualized health and wellness counseling and exercise instruction with fully equipped state-of-the-art MedX rehabilitation equipment. 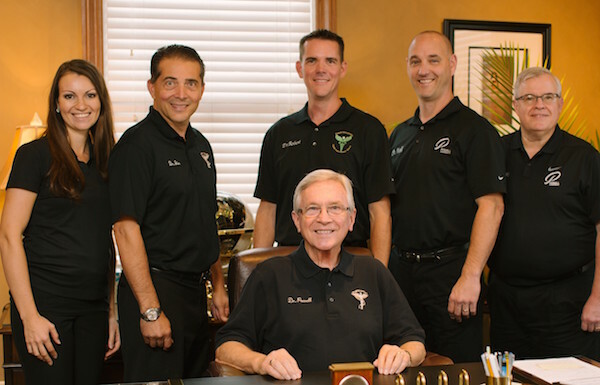 Our mission at Powell Chiropractic is to provide excellent, high-quality care to people of all ages. We strive to not only correct a person’s health problems, but to educate and enlighten people so that they do not encounter similar problems in the future by developing lifestyle changes. Our office wants to provide a greater degree of wholeness to each individual naturally. The body needs the right “fuel” to function properly, so we support the natural process of healing, by recommending whole food supplementation. In addition, exercise in some form may also be recommended. After your most obvious symptoms subside, we will work on any other nervous system dysfunctions and strengthening your muscles to lead you to more complete recovery. If a patient has advanced spinal degeneration, ongoing care is necessary to keep the pain under control. This care is called supportive care. If the problem is resolved, maintenance care is one wellness model to stay healthy. 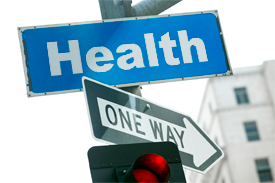 We work with patient to achieve their health goals and encourage a wellness lifestyle. Sound interesting? Please contact our Canton Chiropractic office to make an appointment.